Pierce Manufacturing announced today that Siddons-Martin Emergency Group marked the company’s 45th anniversary as an authorized Pierce dealer with the expansion of service center offerings across Texas, New Mexico, and Louisiana. Headquartered in Houston, Texas, Siddons-Martin Emergency Group is one of the largest emergency vehicle dealerships in North America. APPLETON, Wis. (February 26, 2019) – Pierce Manufacturing Inc., an Oshkosh Corporation (NYSE:OSK) company, announced today that Siddons-Martin Emergency Group marked the company’s 45th anniversary as an authorized Pierce dealer with the expansion of service center offerings across Texas, New Mexico, and Louisiana. 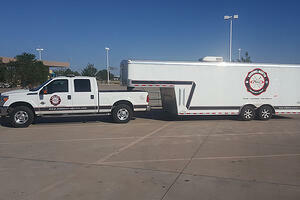 The Lubbock, Texas Service Center opened in August 2018, serving the North Texas and Texas Panhandle region. The Dallas Service Center opened in January 2019, located in Balch Springs, Texas and serves the city of Dallas, Texas and the surrounding municipalities. The Longview Service Center is scheduled to open in April 2019, located in Longview, Texas and will serve the East Texas and North Louisiana regions. Headquartered in Houston, Texas and employing over 300 dedicated personnel, Siddons-Martin Emergency Group is considered one of the largest emergency vehicle dealerships in North America. Pierce fire apparatus sales in these regions led by Siddons-Martin Emergency Group have been the driving factor for service center expansion. All centers will feature hydraulic truck lifts, mobile or on-site fire pump testing and certification, computer diagnostics and service history review, annual and semi-annual inspections, robust preventive maintenance programs, and EVT and ASE certified technicians with a master EVP technician in each region. 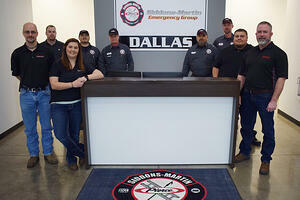 Upon opening the Longview Service Center, Siddons-Martin Emergency Group will maintain a total of 16 service centers and 40 mobile service units – all featuring highly trained technicians offering expertise in the areas of parts ordering, training, warranties, and other aftermarket services. For more information about Pierce Manufacturing and Siddons-Martin Emergency Group’s service center expansion, visit www.piercemfg.com.